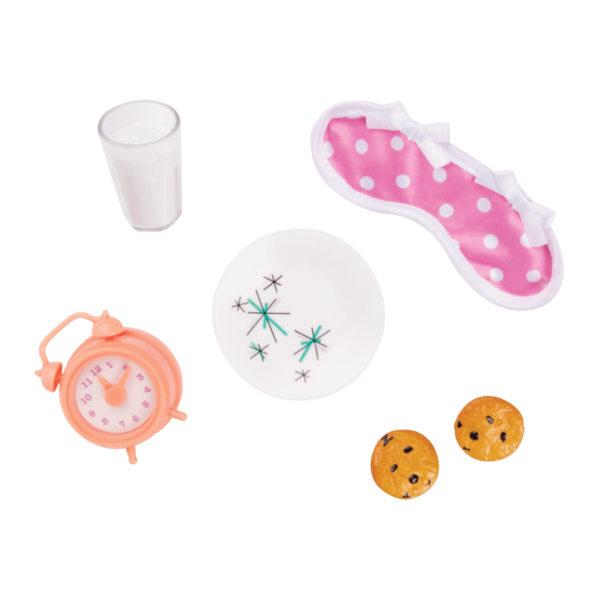 https://s3-ca-central-1.amazonaws.com/media.ogdolls/20181127231728/BD37038_Attached_at_the_Clip-all-components.png Category: House and Home. Show your true colors- all of the ones in this rainbow of style! 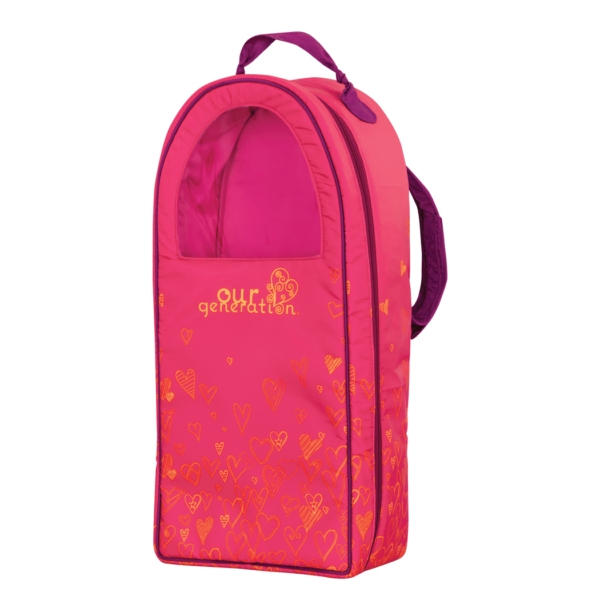 Get ready to outdo the up-dos with Our Generation’s Attached at the Clip Hair Accessory Set for 18-inch dolls! Because there has never been a generation of girls quite like us. We’re sisters, cousins, and best friends. We help those less fortunate, dig in the dirt, and build forts that are as high as we can dream them. This is our time. This is our story. Butterflies and flowers will add some colorful flair to that hair! 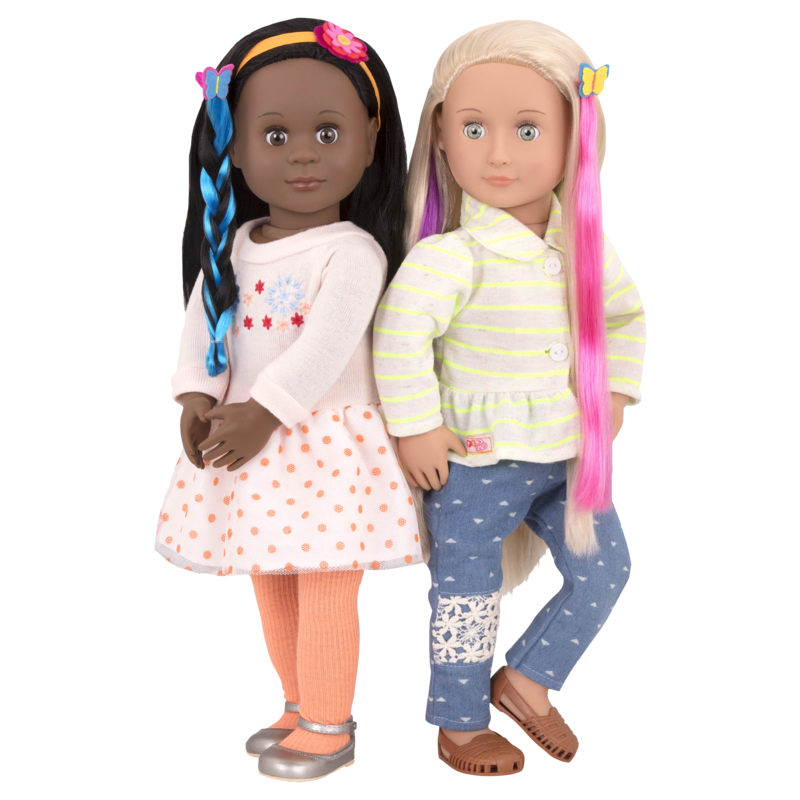 Add bright and beautiful color to your 18-inch doll’s hair with the butterfly clip hair extensions. Simply clip them in, then brush and style in whatever hairstyles you can imagine! 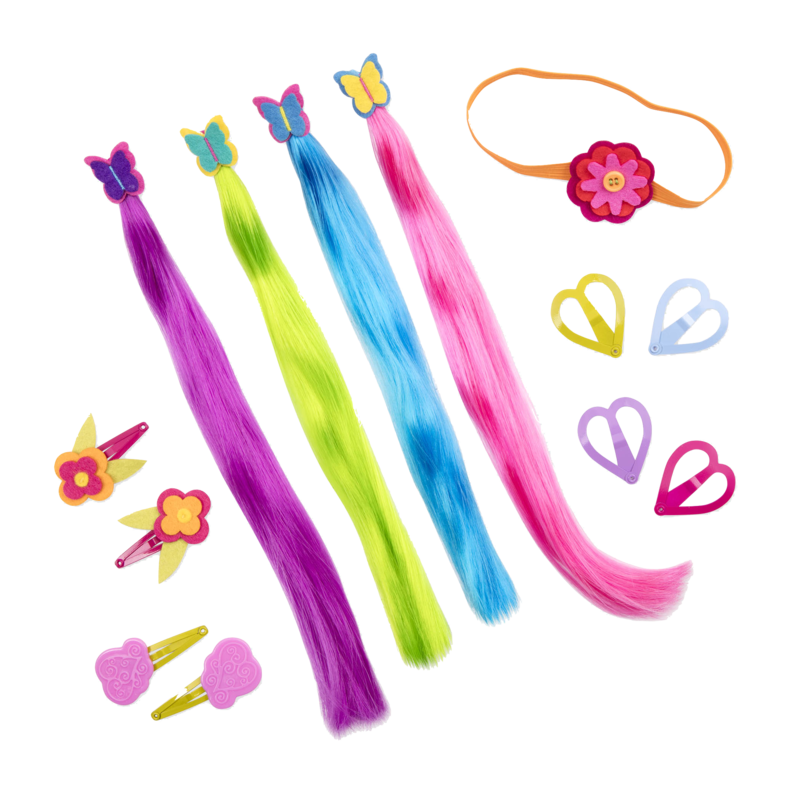 This 13-piece hair accessory set has adorable and colorful heart-shaped hair clips, flower-shaped hair clips, and a flower headband so you can decorate your doll and experiment with colorful and exciting new hairstyles. The best part of all? All of these hair accessories for 18-inch dolls can be used in kid’s hair, too! You and your Our Generation best friend can have matching styles, or just do your own thing – it’s totally up to you! Or get really creative and add some of these doll hair accessories to your toy horses, too! Have you met Maeva and Naya, the dolls in the pictures of the Attached at the Clip Set? They both love getting dressed up, and Maeva is a Jewelry Doll who has pierced ears and a lot of jewelry to wear! 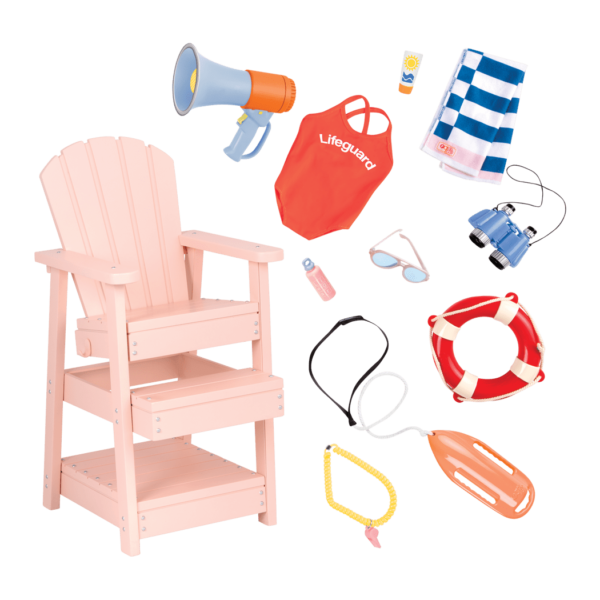 For kids who love to play hair salon, check out the Berry Nice Salon Set which has everything you need for your doll beauty salon, including a trolley for all of your supplies. Taking good care of your doll’s hair is easier with the proper tools! 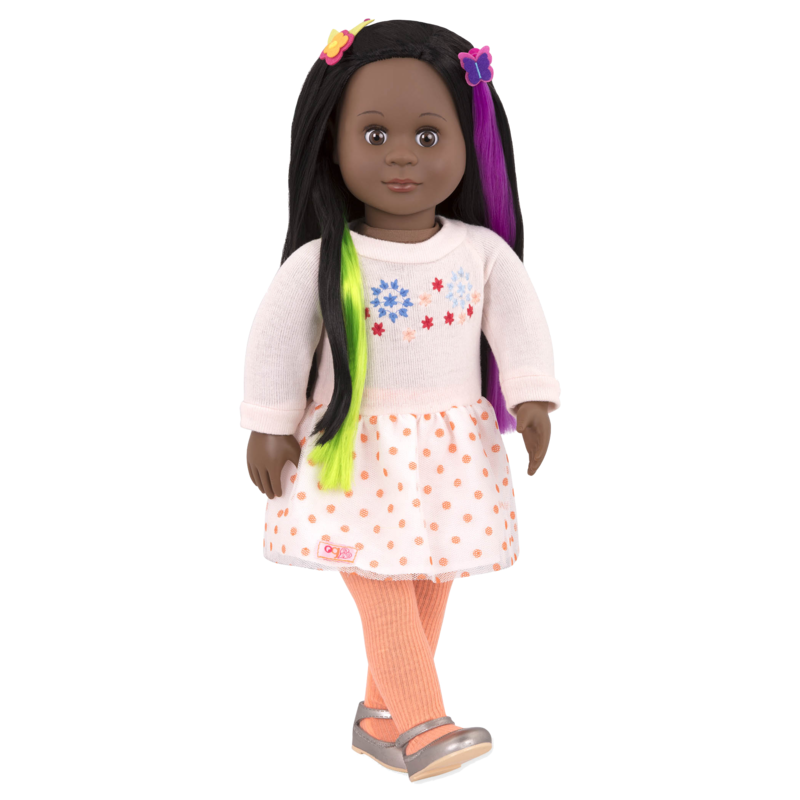 Try the OG Hair Brush, a round-tipped wire bristle brush that is great for keeping your doll’s hair tangle free while you experiment with lots of different styles!